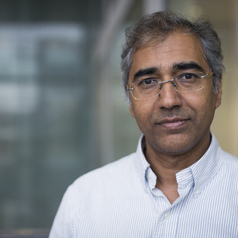 Professor Inderjeet Parmar read Sociology at the London School of Economics, and Political Sociology at the University of London. His doctorate, from the University of Manchester, was in the fields of political science and international relations. Prior to appointment at City University London (2012), he taught at the University of Manchester for 21 years, mainly in its Department of Government (now Politics) which, between 2006-09, he served as Head of Politics. He is co-editor of a book series, Routledge Studies in US Foreign Policy. He is also Principal Investigator and co-ordinator of the AHRC Research Network on the Presidency of Barack Obama. He is Co-Chair of a research network on Global Knowledge and World Orders which focuses on the role of elite liberal knowledge networks' - universities, think tanks, foundations - roles in the making of world orders, in conflict with rivals, from the end of WWI to the present. Partners institutions include Princeton, VU Amsterdam, Geneva, Cambridge, Hong Kong U, NYU, and City University London. Professor Parmar was a member of the Working Group on Think Tanks of the Social Science Research Council, New York, 2007, and co-convenor of the BISA Working Group on US Foreign Policy, 2005-09. His latest book is Foundations of the American Century: The Ford, Carnegie and Rockefeller Foundations in the Rise of American Power (Columbia UP, 2015). His current book project is a critique and reconceptualisation of the Anglo-American-built post-1945 world order, entitled Presidents and Prime Ministers at War: Race, Empire and Elitism in Anglo-American Wars from Korea to the Wars on Terror.